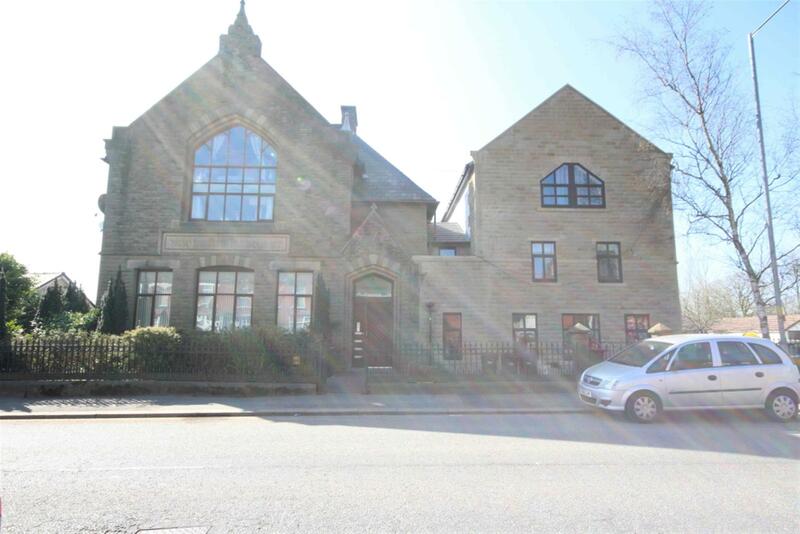 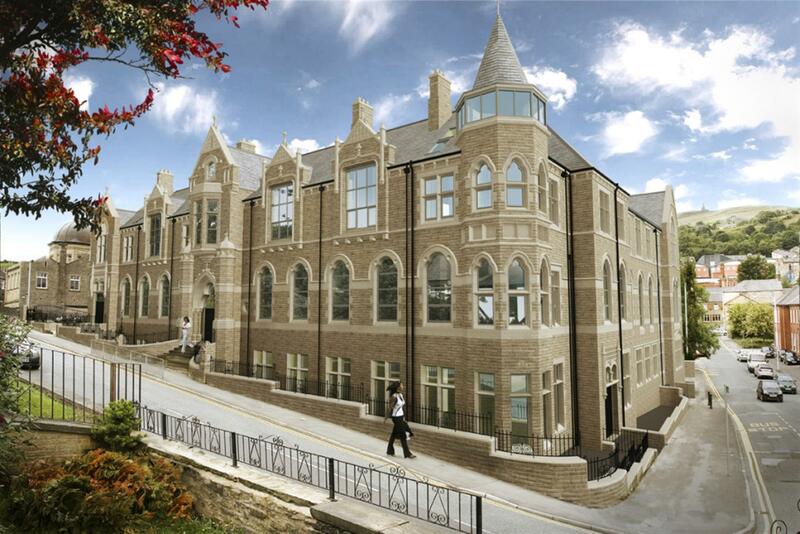 1 bed ground floor duplex apartment situated in a monumental conversion from the original Art School in to 43 luxury bespoke apartments, close to the local train station, bus station, motorway links and all other local amenities. 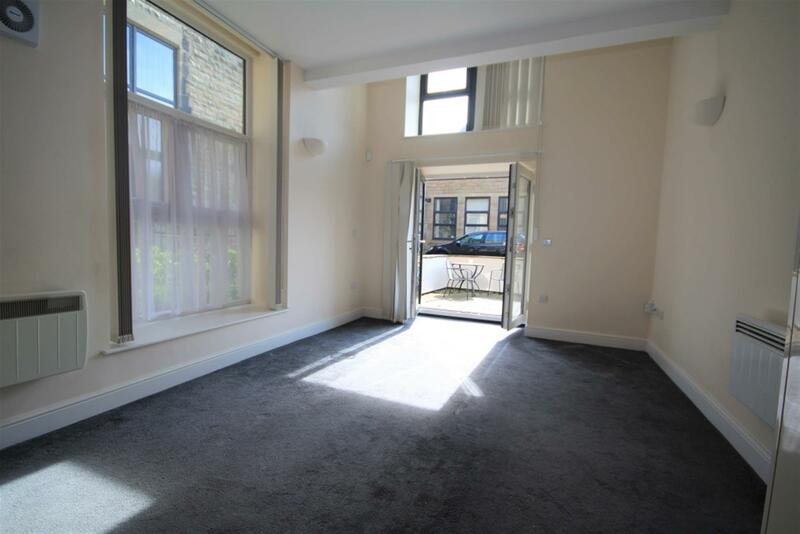 Ground floor consists of entrance hall with 2 piece cloaks and a storage cupboard, an open plan lounge/kitchen, the kitchen with fitted high gloss cream wall and base units with integrated electric hob, oven, extractor fan, fridge/freezer, and free standing washer/dryer, the lounge has internet connection and satellite point, French doors that lead to a communal gravelled area. 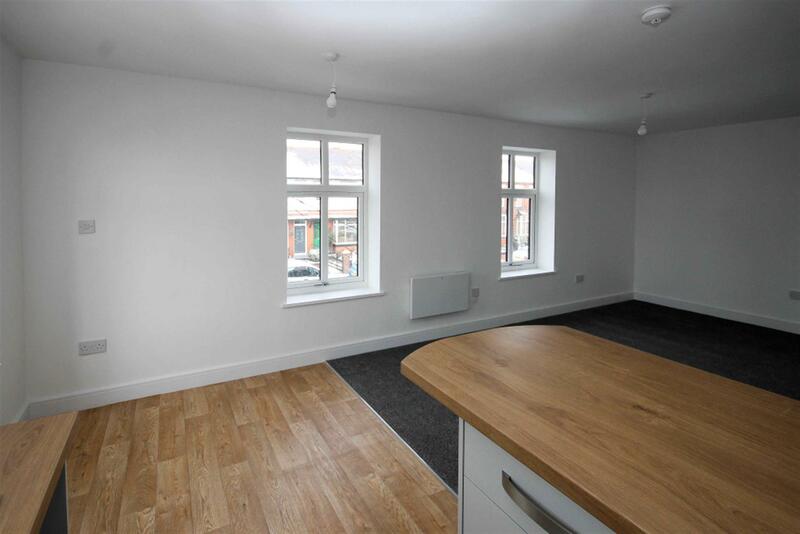 The first floor consists of a large double bedroom with feature original wooden beams and a 3 piece en-suite shower room with shower with glass folding doors, low level W/c, wash basin, mirrored wall cabinet and heated towel rail. 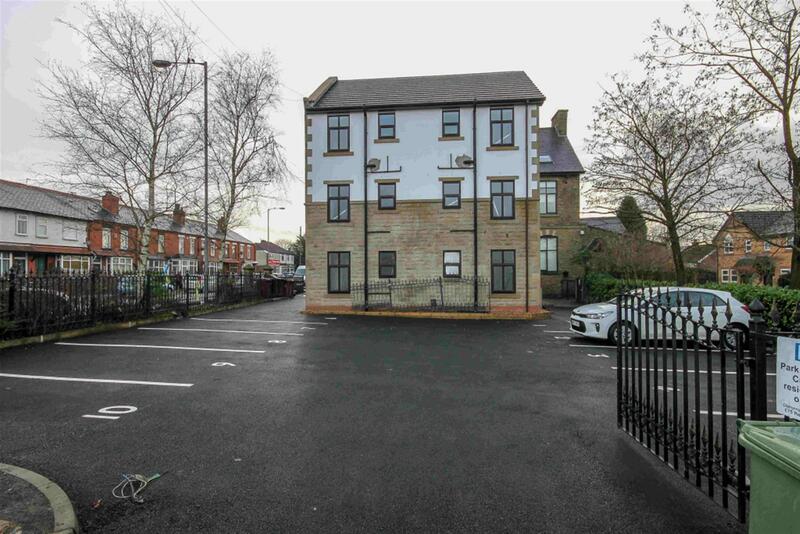 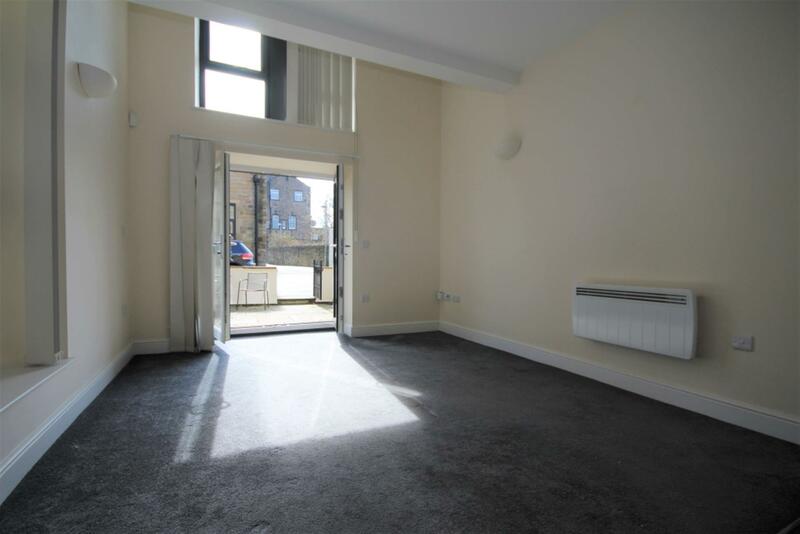 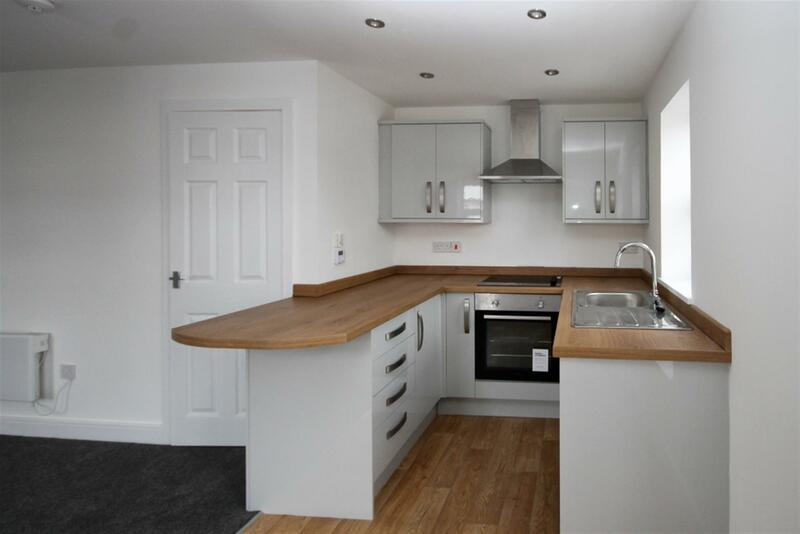 The property has been renovated to a high standard and benefits from electric heating, carpets and blinds throughout, double glazing, high-tech intercom release system to security gates and doors with allocated private parking.